This week we focus on the death in battle of Frazar Stearns, which occurred on March 14, 1862 at the Battle of New Bern, in North Carolina. 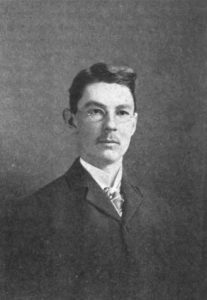 Stearns was member of the Amherst College Class of 1863 and a close friend of Austin Dickinson, Dickinson’s brother. Dickinson was deeply touched by his death, as we see in the poems for this week, and this may have propelled her to consider publication. This week we focus on the death in battle of Frazar Stearns, which occurred on March 14, 1862 at the Battle of New Bern in North Carolina. 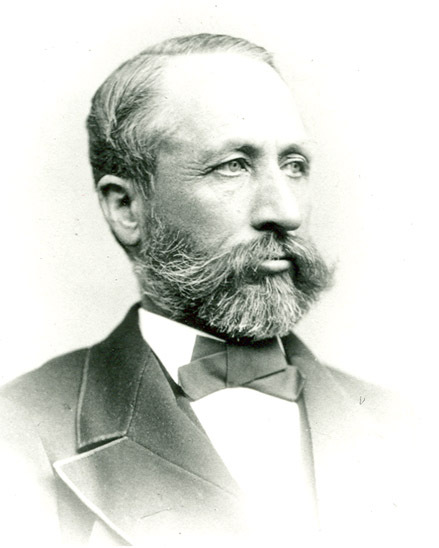 Stearns was a member of the Amherst College Class of 1863 and the son of Reverend William Stearns, the fourth and current president of Amherst College. 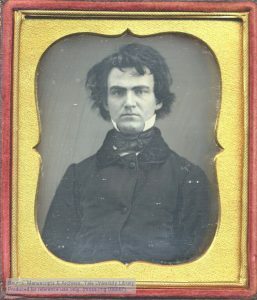 He was one of a group of Amherst students who was encouraged to sign up for service by their popular chemistry professor, William Smith Clark of the Class of 1848. 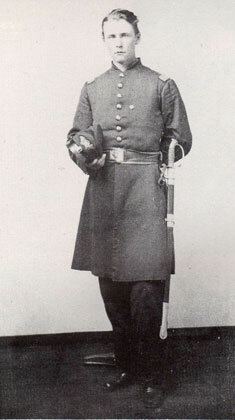 Clark became an officer in the 21st Regiment Massachusetts Volunteer Infantry, and appointed Stearns as his adjutant. as a monument of the heroism of those who have gone before them, and of the precious blood that has been spilled in suppressing this mad rebellion. Stearns was eulogized, praised in state proclamations, and honored with a funeral that had an attendance rivaling the popular annual Amherst College Commencement. Important for this project is that Stearns was a close friend of Austin Dickinson, Dickinson’s brother. His death hit very close to home in the Dickinson household. Dickinson wrote four letters that mention Frazar Stearns, which we will discuss below. She might have attended the ceremony, in which the 21st Regiment gave the Confederate cannon to Amherst College, at which her father presided. Scholars also speculate that this particular death might have propelled Dickinson into contacting Thomas Wentworth Higginson about her poetry and possible publication, which happened in in mid-April, the following month. Springfield Republican, March 15, 1862– Foreign Affairs: "The news from over the water has ceased to have a particular interest in this country, with the exception of the designs of the allies on Mexico." Although we focus on the Battle of New Bern this week, the news of it had not yet appeared in the papers. Rather, the Republican was full of news of the "extraordinary naval battle of Norfolk," Virginia, later known as the Battle of Hampton Roads, which occurred on March 9. For the first time, two iron-clad ships clashed: the CSS Virginia (originally named the Merrimack), secretly re-commissioned by the Confederacy, and the smaller, though more maneuverable Monitor, retaliating for the Union. There is only a short notice of "The Burnside Expedition … starting on a secret expedition to the mainland, the object of which is not revealed." Here is a summary of what happened at New Bern, with more details related to Stearns' role in the Biography section: Troops under the command of Maj. Gen. Ambrose E. Burnside moved into the North Carolina mainland, targeting New Bern, which had served as the capital of the North Carolina colonial government and then briefly as the state capital. On March 14, the 21st Massachusetts Regiment assaulted a brickyard and makeshift Confederate battery, allowing Union forces to take New Bern, which remained in Union control until the end of the war. 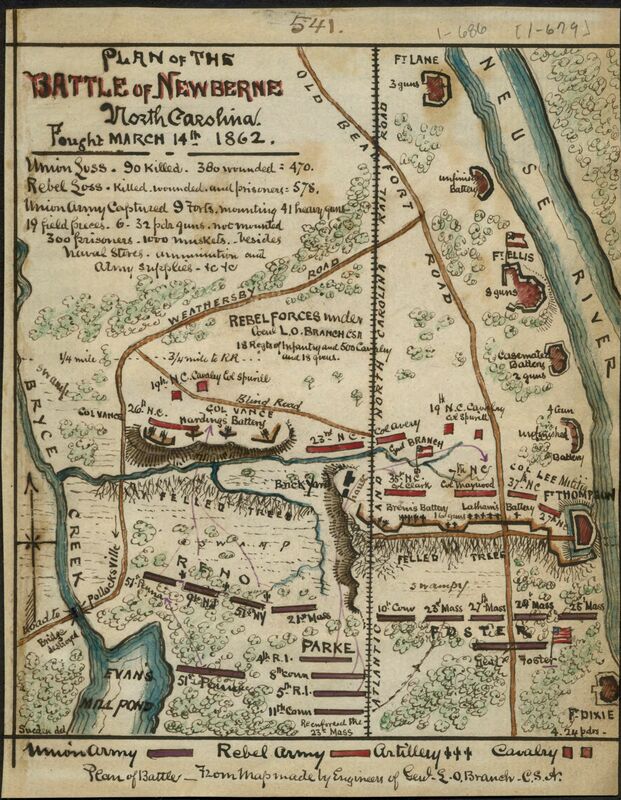 New Bern proved to be an important victory for the Union because of the large amount of arms and equipment captured, and because it compromised the enemy’s supply lines. But it was costly: the 21st lost 19 men during the battle. "Plan of the Battle of Newberne.” Map by Robert Knox Sneden, 1832-1918. The original is at the Virginia Historical Society. Frazar Stearns was born on 21 June 1840 and died on 14 March 1862; he was 21 years old. His family was descended from some of the earliest settlers in New England: Thomas Dudley, governor of the Mass Bay Colony and father of the poet Anne Bradstreet, and Captain Edward Johnson, who both came over from England with John Winthrop in 1630. We are going to-morrow morning at daylight somewhere, — where, exactly, I don't know… God only knows what a day may bring forth. He only can tell what may happen to me on the morrow; always remember that any hour or any moment may bring you news that I am killed or dangerously wounded. If either, then God’s will be done; and I hope I may always be prepared for any issue. These are horrible times, when every man’s hand is against his neighbor. But I have hope. Let the North pray more; let them give the glory to God and not to man, and these days which are rolling by shall be full of glorious victories, which are soon, very soon, to bring on peace. This letter only reached the family on March 18th carried by a wounded private in Stearns' regiment. On the eve of the battle, Stearns was still recovering from a wound he took at the battle of Roanoke on February 7, 1862. When the Union and Confederate forces engaged at New Bern, it became clear that the Confederates had left an unguarded gap in a wall that led to a strategic brickyard. Lieutenant Colonel William Clark volunteered his regiment to surge through the gap with bayonets and with muskets that were unreliable because many had gotten wet in the previous night’s rain. Furthermore, they were charging into superior fire. In the first surge on the brickyard, Stearns was hit just as the men began to head for the gap. 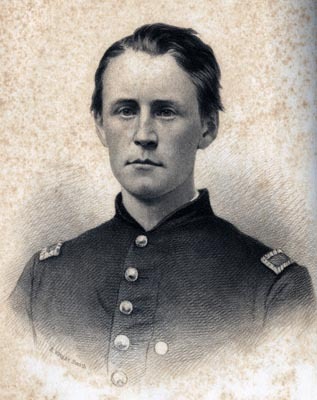 [T]he noblest of us all, my brave, efficient, faithful adjutant, First Lieutenant F. A. Stearns, of Company I, fell mortally wounded… As he was cheering on the men to charge upon the enemy across the railroad, he was struck by a ball from an English rifle… He lived about two hours and a half, though nearly unconscious from the loss of blood, and died without a struggle a little before noon. When the telegram with this news arrived in Amherst on March 19th, the town was shocked and deeply affected. The funeral occurred on March 22. In one of her letters, discussed below, Dickinson gives a detailed description of it. Barton Levi St. Armand believes that “I felt a funeral in my brain”(F340A, J280) may be Dickinson’s psychological response to Stearns’ funeral. Quickly thereafter, Stearns’ father published a book titled Adjutant Stearns based on his son’s letters from the front, William Clark’s accounts, and including the eulogies from the funeral and praises from people who did not even know Stearns. From this point onward, he became a symbol, almost the image of a Christian martyr. The response in the Dickinson family was profound grief. Austin Dickinson was a close friend of Stearns. He would be drafted in May 1864 and, along with four other Dickinson men who were also drafted, would hire a substitute at the price of $500 to take his place. This was customary in the upper classes, but the death of his close friend probably influenced his decision. The death was also deeply personal for Emily Dickinson, who would have known Stearns and his family. Frazer Stearns is just leaving Annapolis. His father has gone to see him to-day. I hope that ruddy face won’t be brought home frozen. (L245). I had read of those – I didn’t think that Frazer would carry one to Eden with him. Just as he fell, in his soldier’s cap, with his sword at his side, Frazer rode through Amherst. Classmates to the right of him, and classmates to the left of him, to guard his narrow face! He fell by the side of Professor Clark, his superior officer – lived ten minutes in a soldier’s arms, asked twice for water – murmured just, “My God!” and passed! Sanderson, his classmate, made a box of boards in the night, put the brave boy in, covered with a blanket, rowed six miles to reach the boat,– so poor Frazer came. They tell that Colonel Clark cried like a little child when he missed his pet, and could hardly resume his post. They loved each other very much. Nobody here could look on Frazer – not even his father. The doctors would not allow it. The bed on which he came was enclosed in a large casket shut entirely, and covered from head to foot with the sweetest flowers. He went to sleep from the village church. Crowds came to tell him good night, choirs sang to him, pastors told how brave he was – early-soldier heart. And the family bowed their heads, as the reeds the wind shakes. Cannon in front of them (ll. 18-20). Theirs but to do and die (ll. 14-15). This letter, which apparently enclosed another letter for Bowles to forward to somebody, uses Austin’s name throughout as a cover (399). “Oh! Cruel Paradise! We have a chime of bells given for brave Frazer. You’ll stop and hear them, won’t you? “We conquered, but Bozzaris fell.” That sentence always chokes me (L362). They conquered ­ – but Bozzaris fell. Indeed, it is very likely that the death of Frazar Stearns is also an impetus for her introductory letter to this prominent literary and war figure, particularly as Higginson's claim that nothing will make one immortal — not politics, not distinction in war — must have struck a chord following the poignant gun ceremony of April 14 [at which the Confederate cannon from New Bern was delivered to Amherst College]. I came to Emily Dickinson in elementary school. My teacher had assigned us, as a handwriting project, the neat copying of classic poems, which we were then allowed to illustrate and gather in a folder made out of wallpaper scraps. 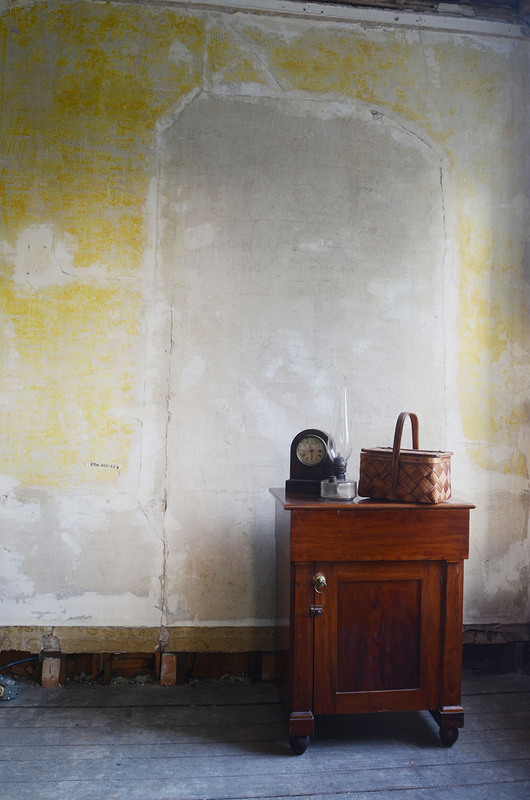 Most of us probably didn’t really absorb the poetry—the old-fashioned diction and difficult vocabulary made understanding the verses challenging for young readers—but I remember the loving care I took in copying the poems I chose, my feeling that, even if I didn’t really understand exactly what was being said, they were speaking some dark and secret place in my heart. These poems felt magic to me, like spells or maybe curses. One of my selections was “Because I could not stop for Death” (F479), which might seem a bleak selection for such a young poetry reader. Despite my youth and inexperience with death, I was a serious minded little girl, with a religious bent, trying hard to reconcile my feelings of right and wrong with the conflicting messages I was hearing about God and the afterlife. I was drawn in by the image of a small, serious girl (much like myself) sitting in a carriage with Death himself, which in my mind looked like a traditional grim reaper, calmly riding off into the sunset. As I grew up and grew older, Emily’s poetry (I feel I’ve known her all my life, so I think of her by her first name) always remained a touchstone in my life. It is still so today, especially when I am going through rough times full of turbulent and conflicting emotions. Her work speaks my heart especially well when she writes of grief. In the selections for this post, I taste personal grief drizzled over a bitter cake of wider suffering. It is hard enough to lose someone beloved, but the experience is all the more devastating when the loss comes of violence or in war that seems senseless, especially to those watching from afar. Reading these poems opens an ache deep within, an echo of the complicated tangle of emotions surrounding loss. There is such daring challenge and visceral hurt in a line like “Was God so economical?” Economy seems a petty thing, a concern for householders, not for all-powerful God, but the God in “Victory comes late” has set the table so high that we can’t reach it, though He has promised to care for us. In grief, so many of us experience anger and a feeling of having been betrayed or cheated, like sparrows left to starve. As my students say, “I know these feels.” I know too, the feeling of tragedy redoubled, when grief comes to someone who has already been struck by loss too many times and the desire for answers. I, too, have wanted to know whether someone suffered, or what they thought about at the end, or if they were afraid. All the stages and phases of grief, all the terrible maelstrom of mixed emotions, all the pain and hope and fear that surround death come through in these poems and remind me once more why there’s no one like Emily to grieve with when loss knocks on your door. 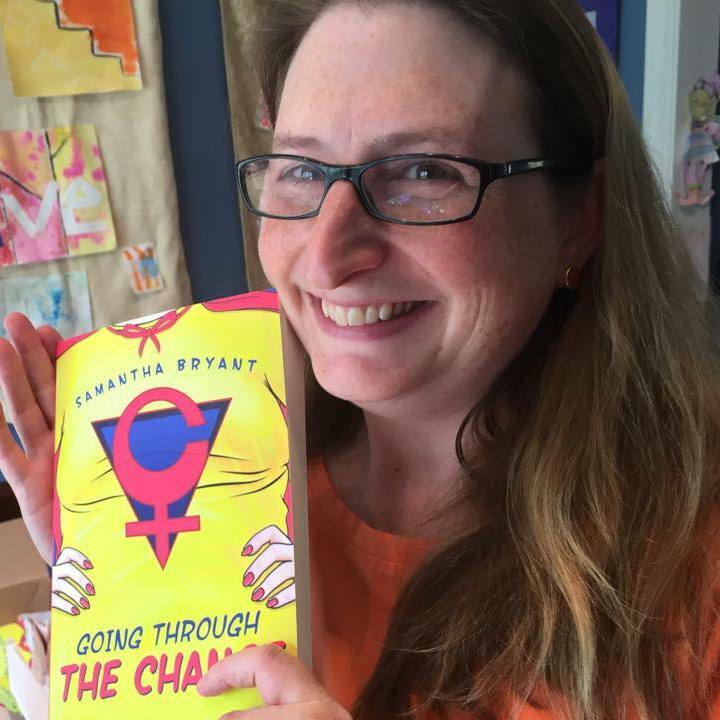 Bio: Samantha Bryant is a middle school Spanish teacher by day, and escapes into superhero fiction by night. She is the author of the Menopausal Superheroes series (Going Through the Change, Change of Life, and Face the Change) and other feminist-leaning speculative fiction. She’s also a lifelong poetry enthusiast, old movie buff, and connoisseur of home baked cookies. 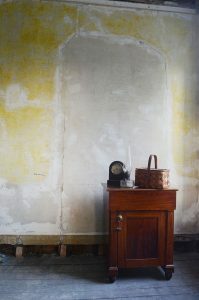 You can learn more about Samantha and her work at her website and blog or by following her on Twitter. “Amherst College,” Amherst Historic, accessed March 12, 2018. Dakin, M. R. “Your Classmate and Friend.” The Consecrated Eminence: The Archives & Special Collections at Amherst College. Dickinson, Emily. The Letters of Emily Dickinson. Eds. Thomas Johnson and Theodora Ward. 3 vols. Cambridge: Harvard University Press, 1958. “Emily Dickinson and the Civil War.” Emily Dickinson Museum. Murray, Aife . Maid as Muse: How Servants Changed Emily Dickinson’s Life and Language. Hanover: University Press of New England, 2009, 165-66. Sewall, Richard. The Life of Emily Dickinson. Cambridge: Harvard University Press, 1980. St. Armand, Barton Levi. Emily Dickinson and Her Culture: The Soul’s Society. Cambridge: Cambridge University Press, 1984, 104-115. Stearns, William. Adjutant Stearns. Massachusetts Sabbath School Society, 1862. Ebook 100 ff. Longsworth, Polly. “Brave Among the Bravest,” Passages of Time: Narratives in the History of Amherst College, ed. Douglas C. Wilson. Amherst: Amherst College Press. 2007. Werner, Marta, ed. A Nosegay to Take to Battle’: The Civil War Wounding of Emily Dickinson. Next Next post: March 19-25, 1862: Spring!